Home / Fragrance / Chanel No. 5 without the jasmine? Chanel No. 5 without the jasmine? If your Chanel No. 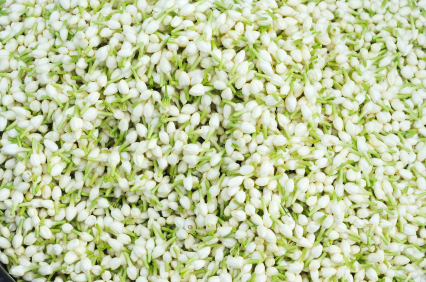 5 or Jean Patou’s Joy are smelling a bit different, it’s probably because of the International Fragrance Association’s (IFRA) restriction on use of natural jasmine in perfumes. The reason? In a tiny number of cases, it can cause an allergic reaction. Similar restrictions have been applied to other natural materials including oakmoss, bitter orange, bergamot and grapefruit. How did substances formerly considered safe and used as such for thousands of years suddenly become potential health risks? And what exactly are we achieving with such a ban? Yes, it’s true that plants, like chemicals, can cause allergic reactions. Because of this, perfume manufacturers are legally required to print all ingredients on the package. Plus, you will often also find a generic warning such as, “If a rash appears discontinue use”. 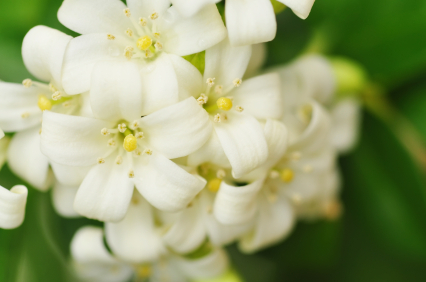 Someone who is allergic to a particular ingredient – say jasmine oil in this case – will immediately refrain from using the perfume. Simple and logical, right? However the IFRA, which regulates the perfume industry, does not believe in the ability of buyers to make the right choice themselves. Hence, it solves the problem in a radical way – by simply minimising the content of this ingredient in the perfume with new laws. And voila, jasmine absolute is not to exceed 0.7 percent of the final product in any perfume now. What this means is that a host of the world’s greatest perfumes may cease to exist, at least in the form that we know: Jean Patou’s Joy, Chanel’s No. 5, Christian Dior’s J’Adore, Givenchy’s Organza Jasmine, Bvlgari’s Jasmin Noir, Estee Lauder’s Beautiful Love… the list is endless. Personally, I am allergic to tropical fruits. What do I do? Avoid anything that might have kiwis or pineapples in it – simple! And what about food? Why is nobody forbidding the producers of Snickers chocolate bars with peanuts, despite the fact that peanuts can cause someone a severe allergic reaction? And what happens when someone who is allergic to orange oil goes into the supermarket? Are we going to ban oranges from food halls altogether because a very small percentage of buyers are allergic?